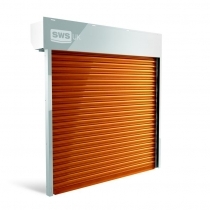 Fire shutters are designed to be a security barrier during normal use and to close automatically in the event of a fire alarm sounding or a power failure. We understand that your business needs the right fire shutter for the job and we are also aware that, especially in areas like receptions, you want it to look good too. The range of fire shutters that we can supply offer the fire-safety protection you need, with clean lines and discreet internal motors, enhancing the aesthetics within your secured premises. All shutters are fully compliance-tested, suitable for a wide range of locations and applications and can be powder-coated in a colour of your choice.